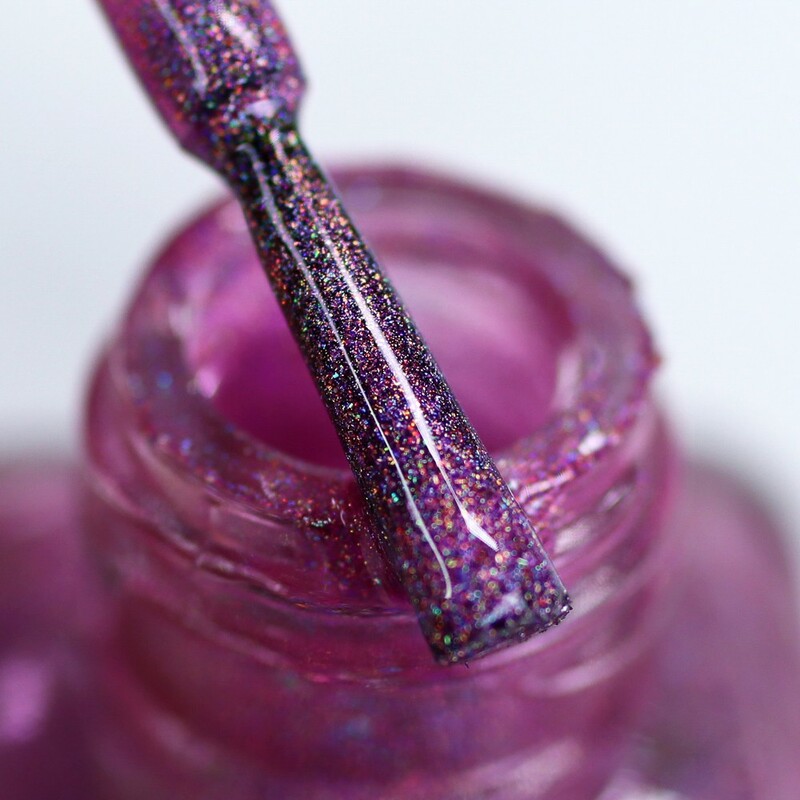 Question of the Week: What new nail colors are exciting you right now? 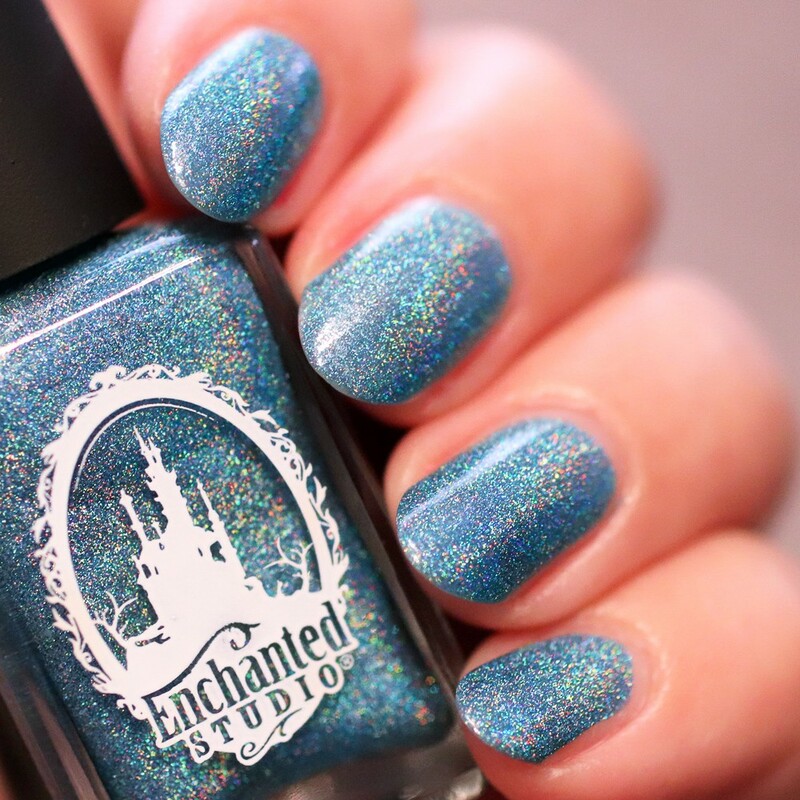 Guys – I am OBSESSED with the new, “stop in your tracks and look at this right now” nail polish line from Enchanted Studio! 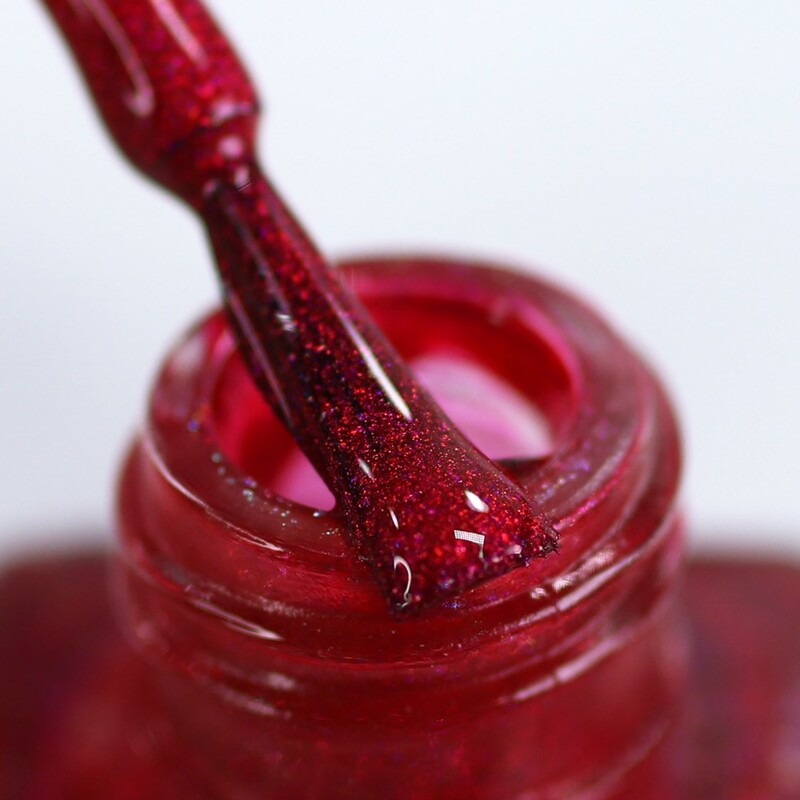 It’s an offshoot from the super popular indie brand, Enchanted Polish that will be launching soon. All products are cruelty free, vegan and 7-free. 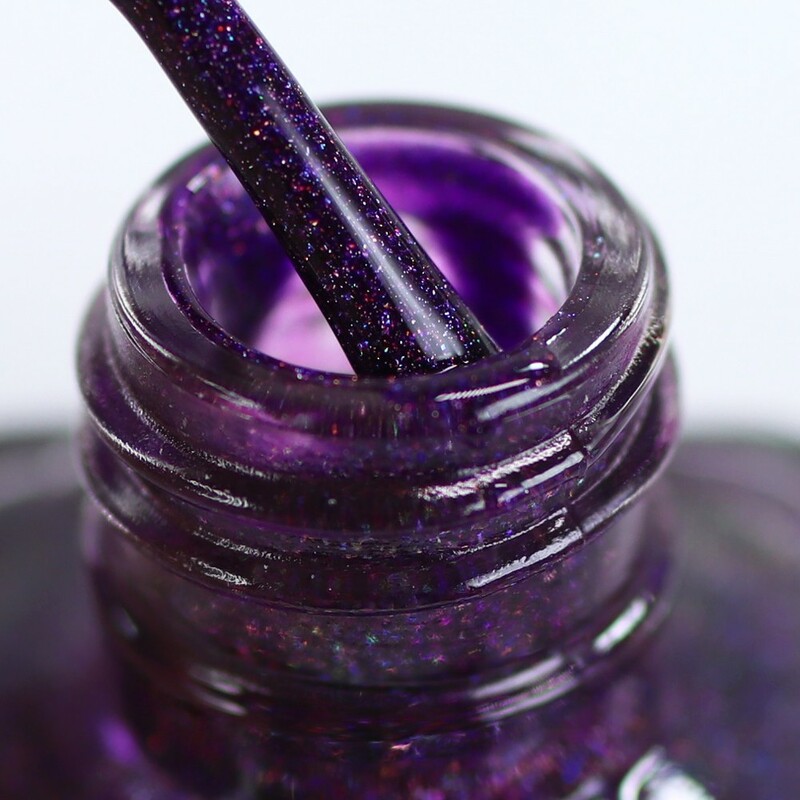 I’ve worn two of the shades of this vegan nail polish so far (Surf Bunny and Disco Berry), and they are mind-blowing! 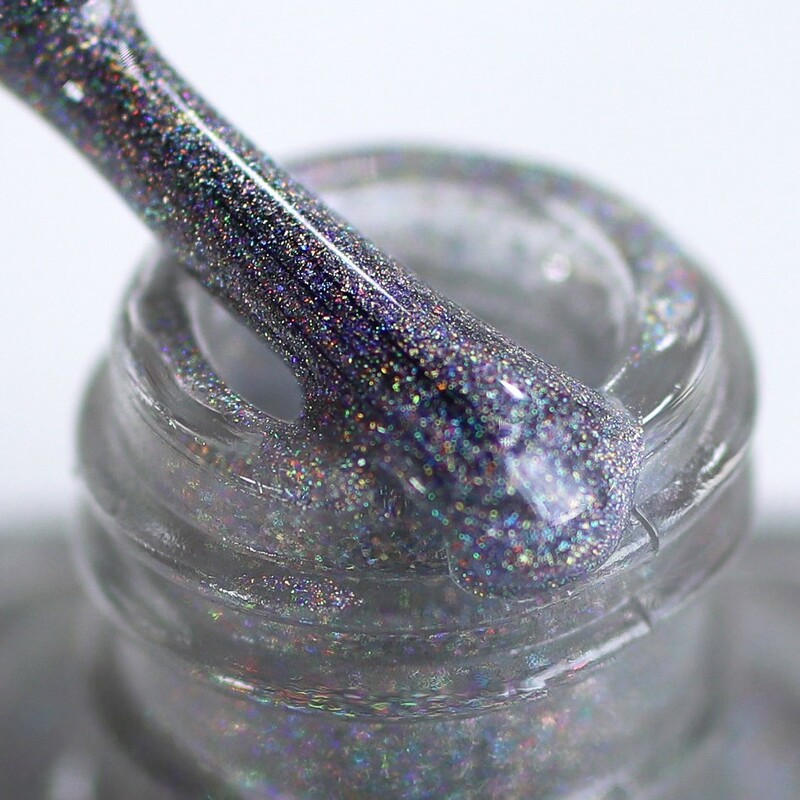 They are holographic nail polish shades that look pretty normal and office-friendly on. But wait until you get them in direct light! I was in the middle of a sentence the other day, when the light caught on my manicure, and I kid you not – I literally stopped talking because I was entranced by the shimmer!! I went to a blogger event yesterday, and one of the bloggers in attendance stopped in her tracks, and raved about my nails. It’s very long lasting and I love that it’s perfectly smooth – no gritty glitter texture. GOOD STUFF! Beautygeeks – may go straight for a summer bronzer application instead of a Spring glow given the warm temperatures promised next week… did you know there’s a difference? Blushing Noir – Lip gloss that shines, isn’t sticky and gives that plumping effect we all crave?! YES, PLEASE! Check out swatches of ALL 20 of the Urban Decay Hi-Fi Shine Ultra Cushion Lip Gloss. EauMG – Oh, honey, do I have the perfume for you! That is if you like honey. The newest natural perfume from Hiram Green smells like gooey honey and beeswax. My Beauty Bunny – has swatches and a review of the limited edition, cruelty free Cargo Havana Nights eyeshadow palette. The colors look bold in the pan, but how do they look when you swatch ’em? Painted Ladies – Sheila shares the complete makeup breakdown from a recent glam night out featuring the Urban Decay Backtalk palette. Phyrra – You’ll love these Affordable Cruelty-Free Makeup Dupes! Prime Beauty – ColourPop is going on vacation and I’m packing their new Lux Lipsticks and Vacation Palette in my makeup bag and tagging along! 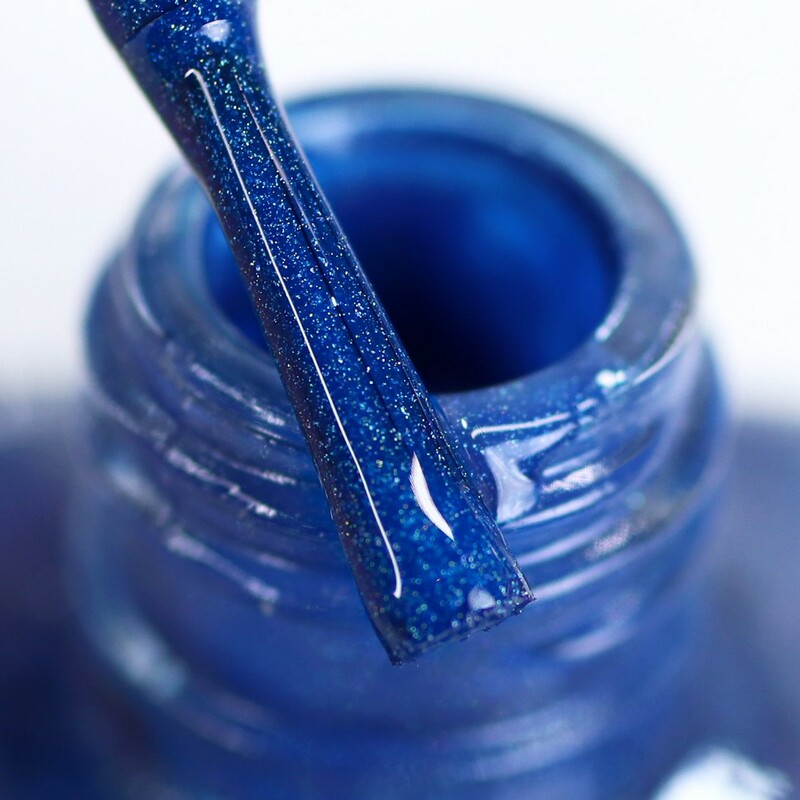 Realizing Beauty – Lacquered shine, a long wearing stain, and plumping hydration all in one lip product? That is exactly what Dior is offering with their new Dior Addict Lacquer Plump. we heart this – We heart that Pixi appreciates influencers! So much so that they have another round of collaborations, including the warm and dreamy Pixi + Weylie Hoang Dimensional Eye Creator Kit. (Wondering what the Lipstick League is? Find out here). Beautygeeks is Currently Craving: a $70 CAD/ $54 USD lippie and feeling ridiculous even thinking about such an expensive item that isn’t skincare. But have you seen the juicy and glamorous Tom Ford Lip Lacquer shades/finishes? « Cargo Havana Nights Cruelty Free Eyeshadow Palette – Hit or Miss? These are absolutely GORGEOUS, and your macro shots are just stunning! That collection is absolutely gorgeous. 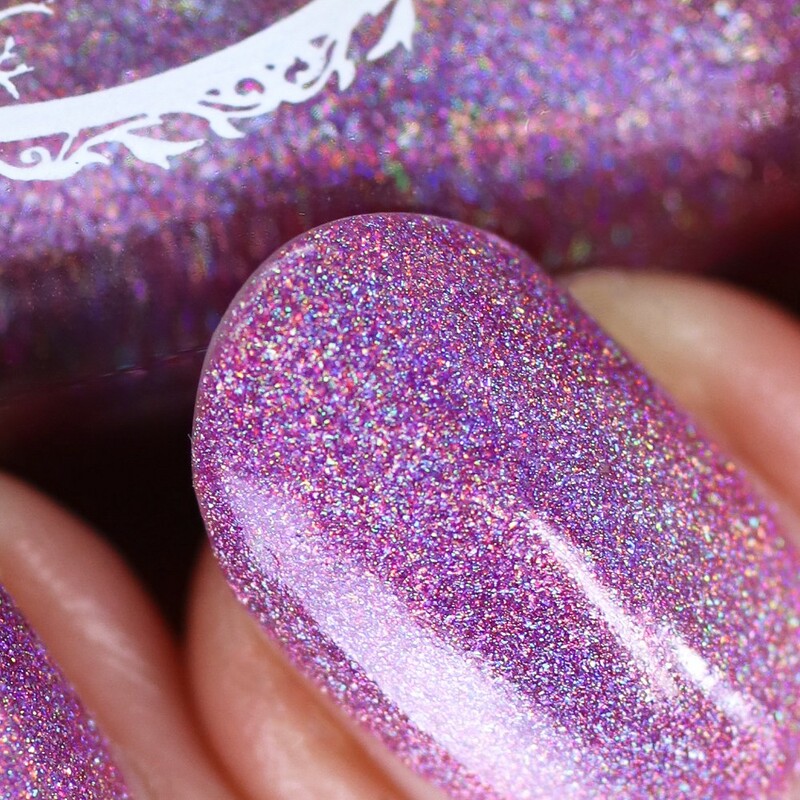 The fun thing about holo is, it looks quite work approoriate then when you get it out in the sun… Pow! These are gorgeous!!! That’s awesome that Enchanted is evolving! These are stunners. I didn’t know they were adding a new line. I think I’ll need some! The purples are giving me all the feels! I want to buy!!!! 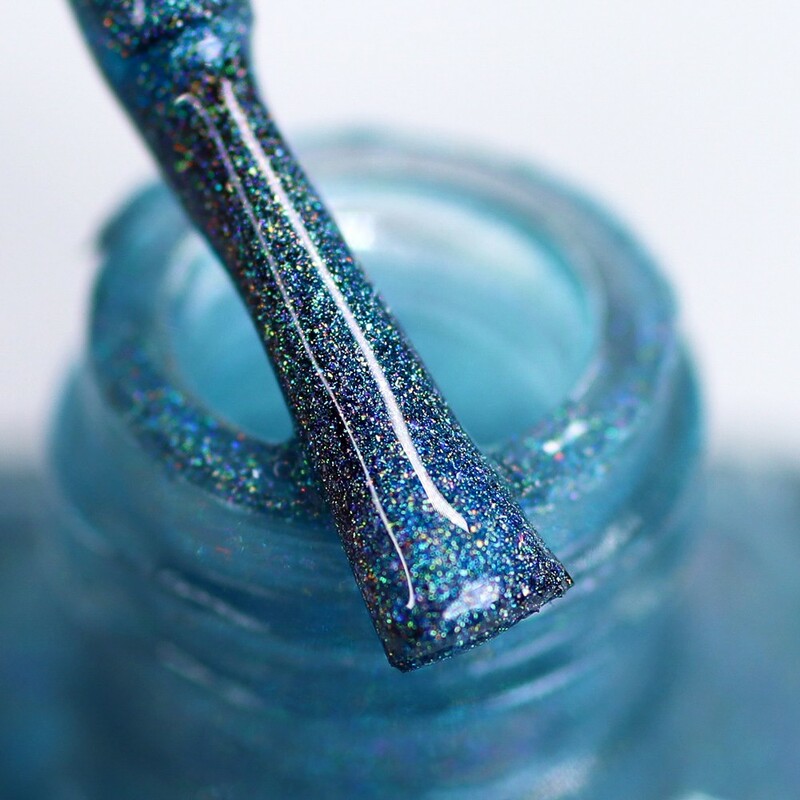 What a gorgeous collection of polish! Do you know if the brand will be at the Indie show in Dallas in May? I want them ALL! Beautiful shots! So much holographic goodness! I especially love that deep purple. I have never heard of this brand. The colors are beautiful! Gorgeous and rich colors! New-to-me brand. 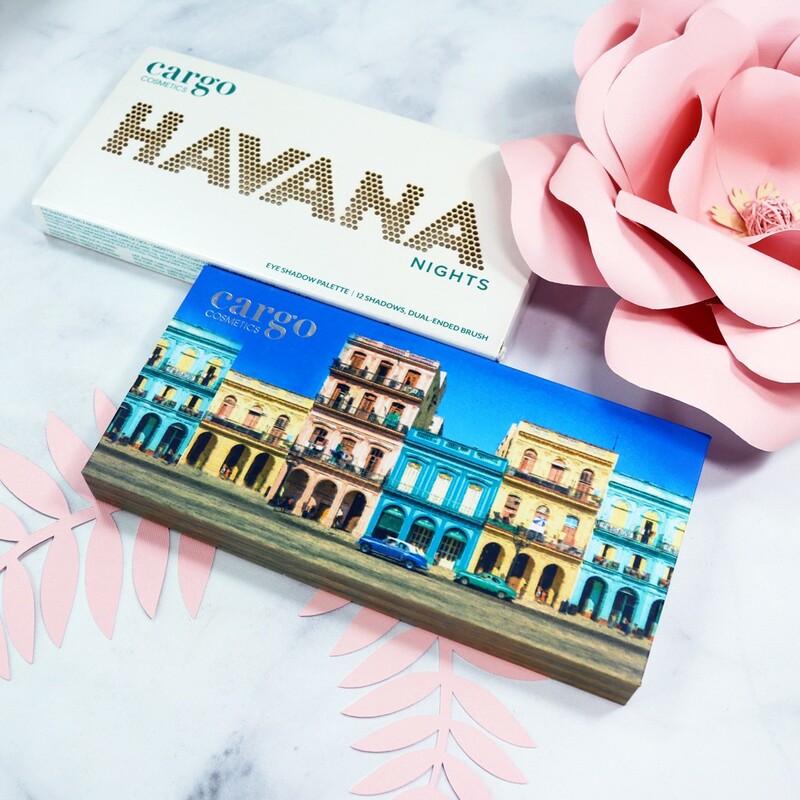 Cargo Havana Nights Cruelty Free Eyeshadow Palette – Hit or Miss?